As a Pittsburgh based company, Equiparts naturally has many employees who are sports fans. So when we found out Equiparts team member Andrew Grimwood, our Web Designer, was going on a trip to Arizona, we got him tickets to a Cubs game so he could check out Sloan Park. 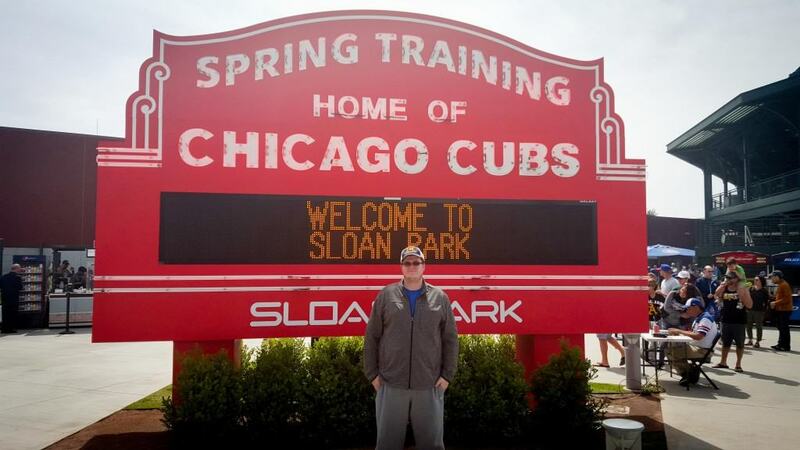 For those of you unfamiliar with Sloan Park, it is the Spring training home of the Chicago Cubs and opened in 2014. It was originally called Cubs Park, but on Jan. 8th, 2015, Sloan Valve Co. bought the naming rights. Located in Mesa, Arizona, Sloan Park is the largest spring training stadium by capacity (15,000 seats) in Major League Baseball. As I entered the park, I was astonished by its sheer size. There were people everywhere, including Cubs fans and fans of other MLB teams. There was not a bad view anywhere in the park, and the smell of great food was everywhere. Ever since I started working at Equiparts back in the Spring of 2013, I’ve learned a lot about Sloan Valve Co, so I had to go and check out the restroom facilities. It was packed, but I tried to catch a glance of all the units they had installed. 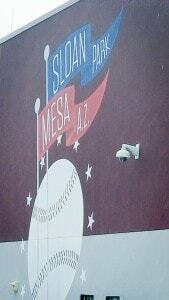 The coolest thing I saw was the BASYS faucet with the Spring Training logo of the Cubs right on the head of the faucet. Before I left the park, I had to get my picture taken in front of the Spring Training version of the world-famous Wrigley Field Marquee that welcomes visitors to the park. I had a great time visiting the park. The views and the food were great, as were the facilities. Equiparts was the very first Sloan Valve Repair Center and has been a Sloan Valve Master Repair Parts Distributor for almost 50 years. 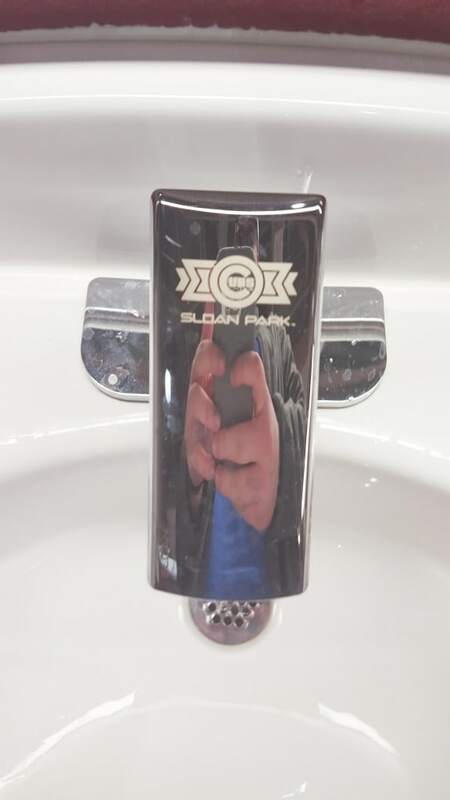 We stock a complete line of Sloan repair parts and units, from the smallest Sloan repair parts to custom-built Sloan flush valves, work with Equiparts, and get any Sloan fixture, part or tool you need.